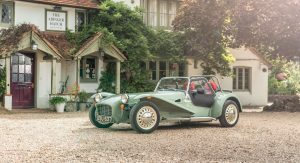 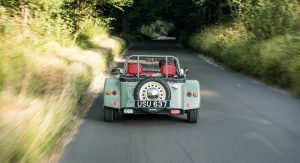 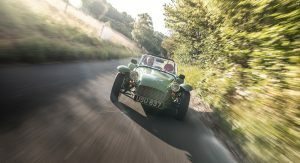 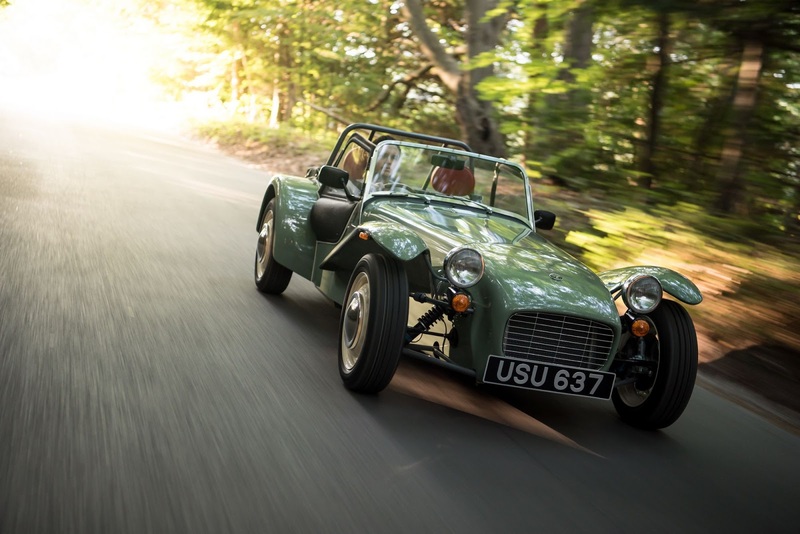 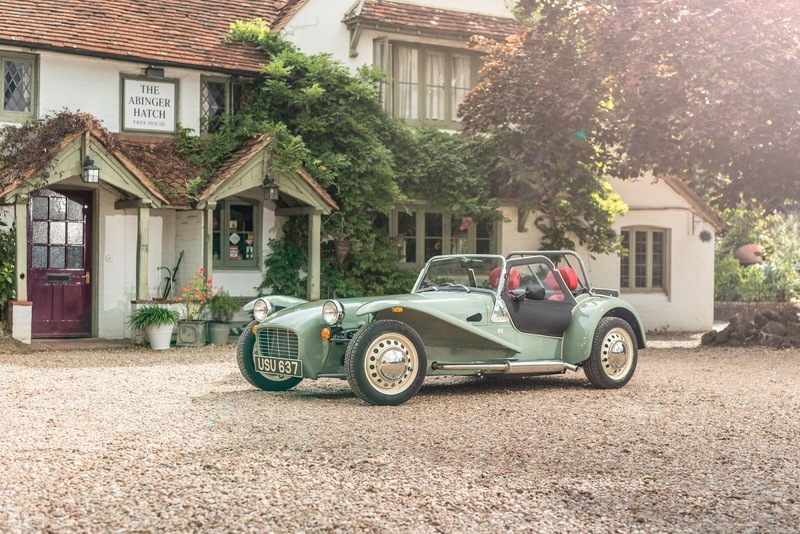 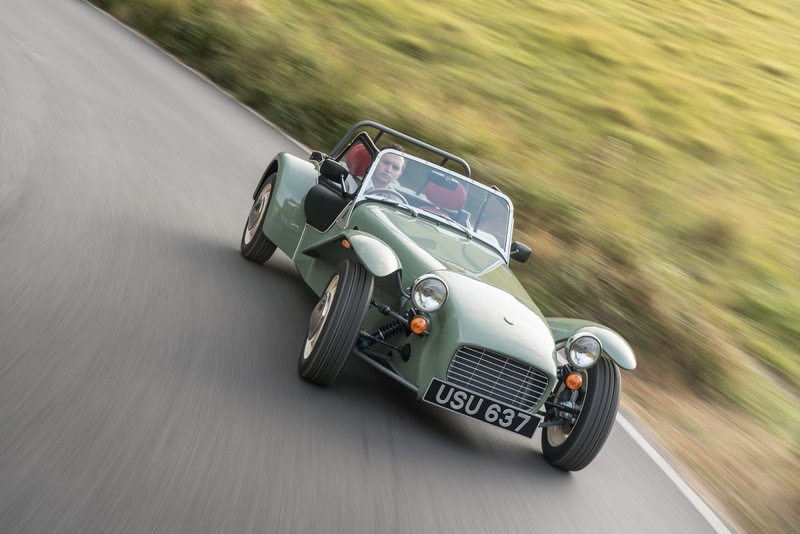 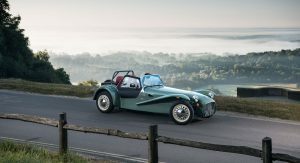 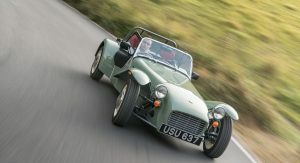 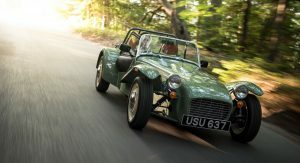 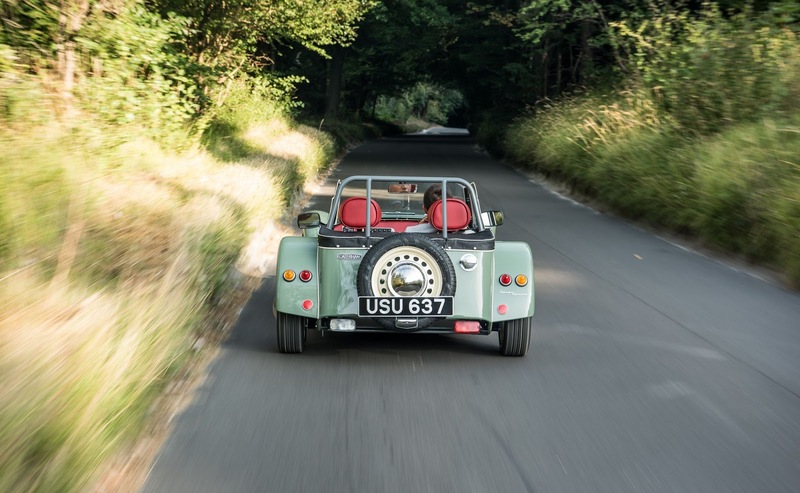 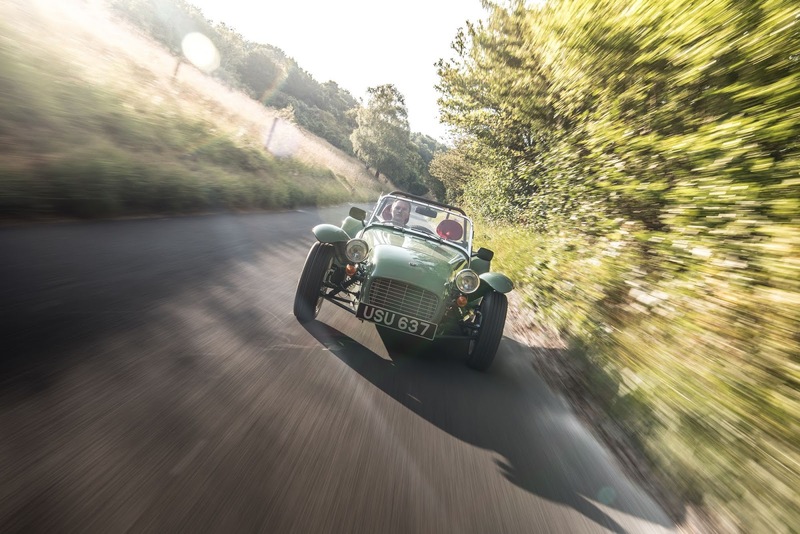 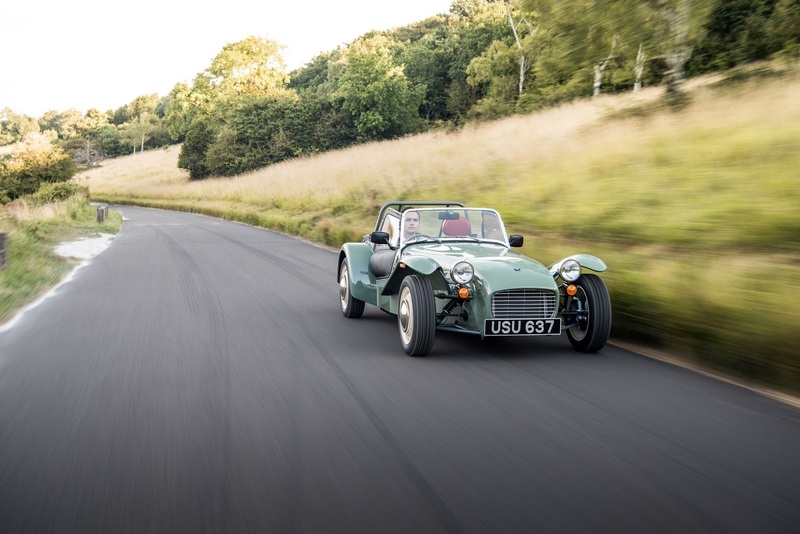 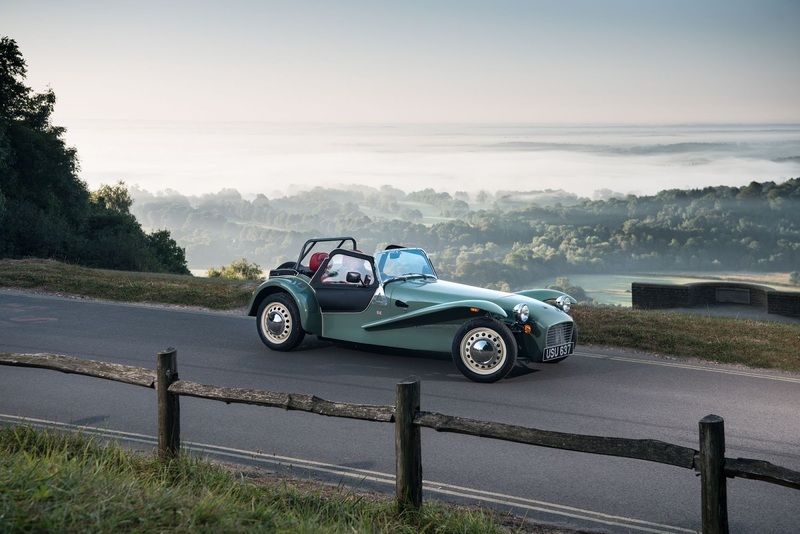 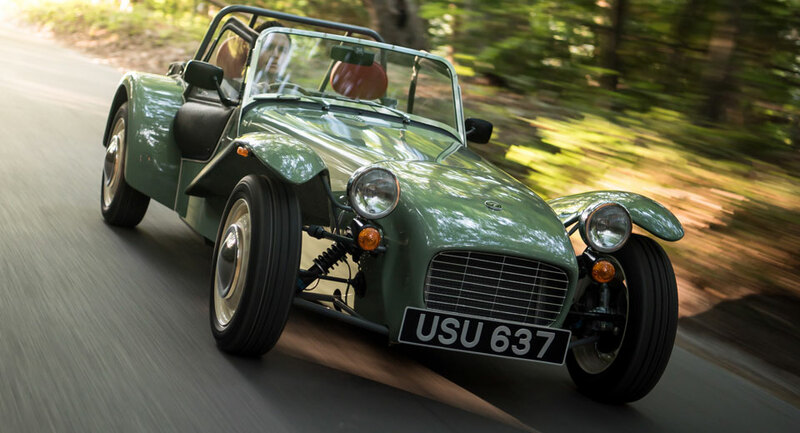 To celebrate 60 years of the iconic Seven sports car being produced, Caterham has unveiled a limited-run model dubbed the Seven Sprint. 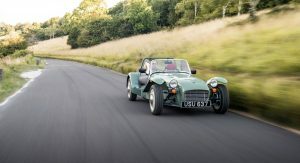 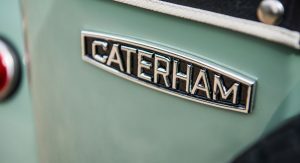 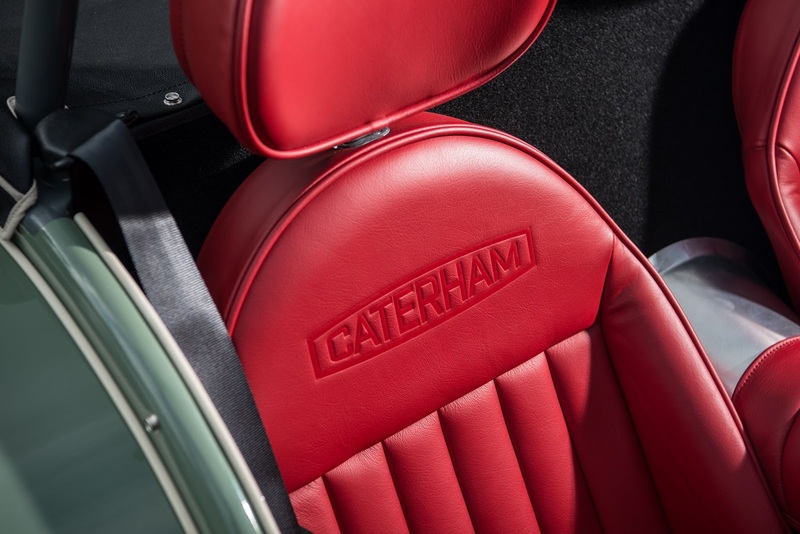 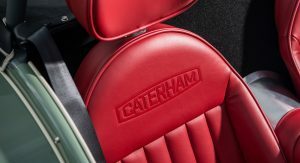 Set to be revealed at this weekend’s Goodwood Revival, the Caterham Seven Sprint takes design inspiration from a model which was supposed to launch in the 1960’s but never saw the light of day. 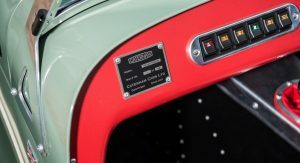 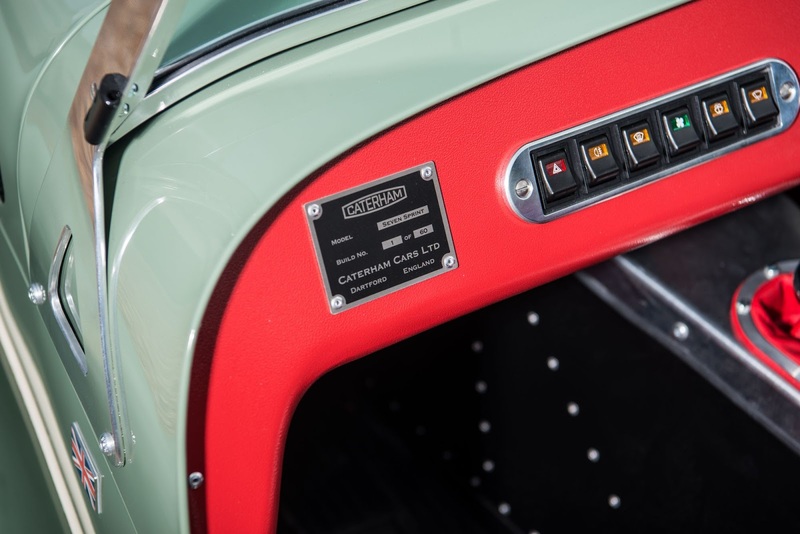 As such, six distinctive colors identical to those of the 1966 car are available while the characteristic flared arches and polished exhaust silencer come as standard. 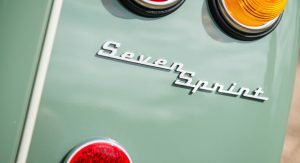 Further adding to the retro vibe are the cream colored wheels, the polished chrome hubcaps and the individual rear taillights. 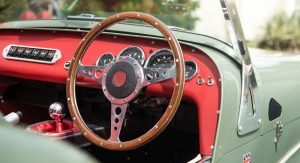 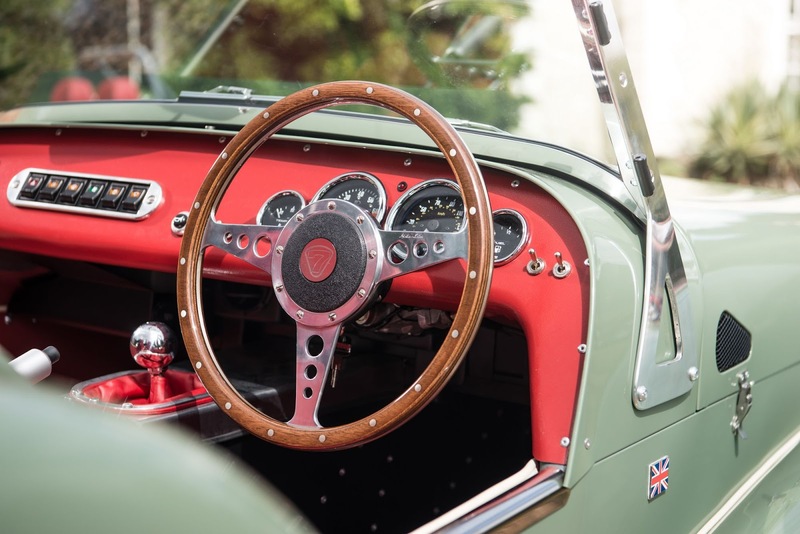 The cabin continues the look with a wooden, three-spoke steering wheel, a classic looking instrument cluster, scarlet red upholstery and a red dashboard. 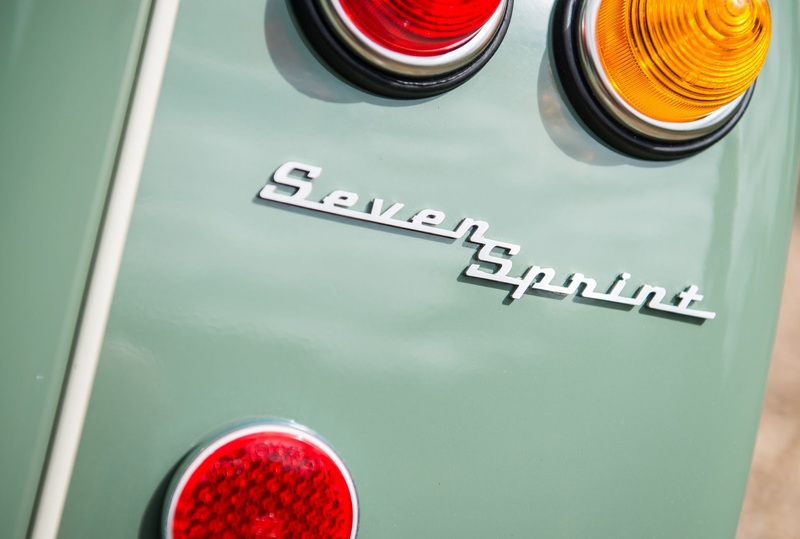 Beneath the skin, the seven Sprint makes use of a 660 cc three-cylinder engine from Suzuki delivering 80 hp. 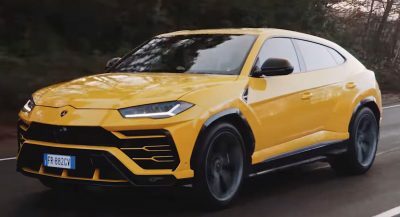 Because of the car’s lightweight construction and minimalist approach however, it will still reach 62 mph (100 km/h) in a respectable 6.9 seconds. 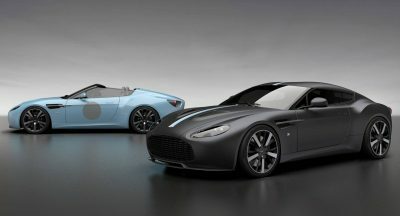 Sales of the model will be restricted to the UK and select European markets, starting at 27,995 pounds ($37,000). 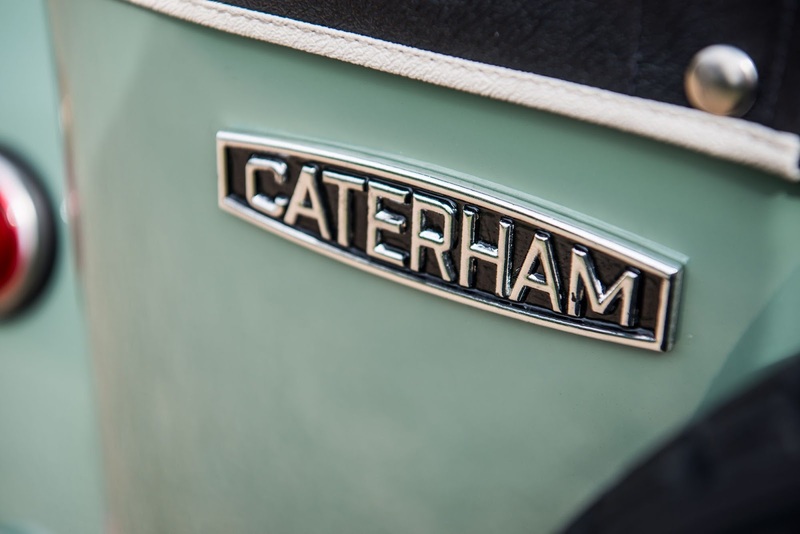 Just 60 units will be built.